New York Painting Services supplies commercial businesses and residential homes with a number of painting services and then some throughout New York and New Jersey. We are fully licensed and insured to offer our professional craftsmanship and affordable rates. With New York Painting Services, you can expect superior execution on all services rendered along with exceptional work ethics, friendly customer service, and high moral standards. Our expert’s posses advanced training, years of experience, and remarkable skills that are enhanced with the use of high-end products exclusively available to licensed professionals in an effort to ensure our valued customers receive nothing less than maximum results. New York Painting Services takes care of the commercial businesses throughout New York and New Jersey including the banks. Having the experience providing a plethora of painting and related services to banks, credit unions, and other financial offices to ensure you have the opportunity to make an outstanding first impression for your customers, because how your business appears is a reflection on you. With a fresh coat of paint for example, your lasting impression on current and future account holders needs to be a lasting one. 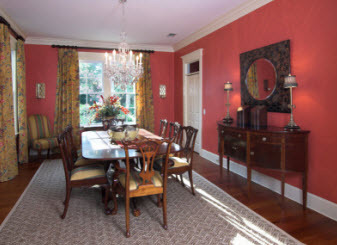 Our services include interior painting, exterior painting, dry wall installation, repair, replacement, power washing, wallpaper and wall covering removal and stripping, installation, baseboards, crown molding, cabinetry refinishing, and more. New York Painting Services banking and financial office interior painting is designed to aid your account holders in New York and New Jersey feel comfortable while making their financial decisions. With our consulting specialists helping you select the right colors and designs to give them what they need. Additionally, when your bank is painted regularly it suggest your diligence in the simple maintenance of keeping your building well preserved ensuring customers of your longevity. New York Painting Services delivers financial institutions with exterior painting services throughout New Jersey and New York. The exterior of your building is the first thing your clients see. It is exposed to the ruthless sun and unforgiving weather. The excessive abuse it endures obviously manifests on the building. Getting your building on a routine maintenance schedule to have an exterior paint will attract customers to your bank as well as keep the building better preserved. When your bank and financial office in New York and New Jersey experiences slight modifications or is afflicted with accidents, drywall services are often needed. New York Painting Services drywall services covers simple repairs for minor accidents, replacement services for moderate issues, as well as installations if your financial office or bank needs to add some closet space or a new office. 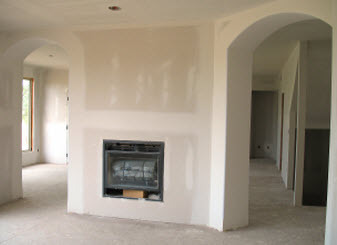 No matter the why’s, we have covered with your drywall installations. New York Painting Services includes power washing services to the banking and financial establishments found in New Jersey and New York. With the constant daily build up foot traffic, pollutants, contaminates, germs, bacteria, chewing gum, and all other manners of filth accruing around your building, there is only one way to get rid of it. Power washing is the application of the appropriate pressure setting, temperature gauge, and detergent ideal for a particular surface to remove the filth, reveal a beautiful surface, and leave it clean, sanitized, and deodorized. Power washing surfaces can be storefronts, sidewalks, paring lots, rooftops, windows, dumpster pads, and more. 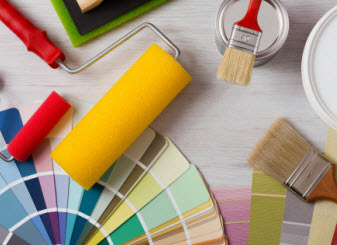 No matter what project you have in mind for your bank and financial office in New Jersey and New York, New York Painting Services has the professionals to get it done quickly and efficiently. Contact us today to get started!